We’ve got some good news for the QA touch users. Rolling out from today is an all-new feature, AI Module, built right into QA touch. For faster completion of testing, we are introducing a new feature called Character Level Prediction. While writing Test Case and reporting Issues, QA team spends more time in transcribing than verifying or validating the software. And, this AI feature helps the user to type the text by predicting the sequence of characters by pressing the tab key. What is Character Level Prediction? 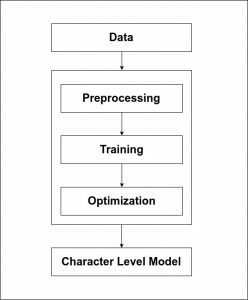 Character Level Prediction helps to generate the sequence in character level, which requires less memory and faster inferences than other model prediction for writing Test cases/issues. The below snapshot shows the block diagram of Character Level Prediction. For instance, if the tester types the character input “veri”, the AI Character Level Model generates the sequence output “fication” by completing the word “verification” for stabilizing the data. Watch the below video to know more about QA touch’s AI Module Character Level Prediction. Gayathri M R, Data Scientist at DCKAP is our enthusiasm quotient. Being passionate on latest technologies like machine learning and deep learning, she handles the complete AI features of QA touch and support. She is interested in building Data Scientist Community. Enjoy solving real time business problems.